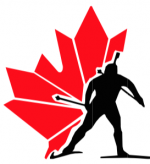 The Golden Nordic Ski Club in Golden, British Columbia, is seeking an enthusiastic, self motivated full-time Head Coach with skills and integrity for the upcoming 2016/17 ski season, starting part time in June/July/August and full time mid-September through mid-April. 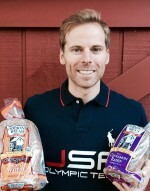 Adam Loomis on the benefits of doing nordic combined: “Cooking (and eating) are honestly some one of my favorite activities. Fortunately, I’m not a special jumper.” He’s been training with his younger brother Ben and focusing on speed in cross-country skiing. On Tuesday, Biathlon Canada posted its final roster for the first trimester of the IBU World Cup, IBU Cup and Jr. IBU Cup. Two women, Megan Tandy and Sarah Beaudry, recently secured their spots on the World Cup team. Joanne Reid’s approach to off-season training, and life: “All of those things were my favorite thing to do in that moment, so I did them.” She’s headed to compete on the World Cup for the U.S. biathlon team this season. 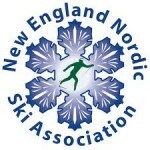 The New England Nordic Ski Association is seeking a paid intern for a seasonal position, requiring part-time hours December through May/June. Travel within New England, and regular weekend work for NENSA Eastern Cup and Championship Events is required during these months. Paddy Caldwell of the Stratton Mountain School and Dartmouth College is looking forward to giving U23 racing one last hurrah at Soldier Hollow this winter. “I think my top-end speed has improved since last year,” he explains. On Sjusjøen’s unique 40-point shooting range, competition heated up as some of the world’s best biathletes went head to head in mass start racing on Sunday. France’s Simon Fourcade matched his brother Martin’s win from the previous day, while Ukraine’s Yuliya Dzhima took the women’s title. France’s Martin Fourcade and Justine Braisaz stole the show in Sjusjøen, locking the Norwegians out of victories on home turf in biathlon’s season-opening sprints. After hosting IBU World Championships last season and thinking ahead to the 2018 Olympics, the Norwegian biathlon team is in sort of an “in-between season” as Norwegian Biathlon Association President Erlend Slokvik described. Still, its men’s and women’s teams are aiming for the top-two overall come next March. With the IBU season opening this weekend with preseason races in Sjusjøen, Norway, FasterSkier contributor Aleks Tangen checked out the venue and spoke with some of the movers and shakers at the venue. The defending champ of the CXC Marathon Cup (who’s going for another title this season), Chris Pappathopoulos shares a “kill-two-birds-with-one-stone” workout. “While this workout certainly isn’t limited to athletes trying to balance family and sport, it does work very well for that,” he writes. U.S. biathlete Lowell Bailey joined the new-parent club this year – and is finding ways to take his daughter, Ophelia, on training runs and skis with him. The Casper Mountain Biathlon Club in Casper, Wyo., is seeking a full-time nordic coach for the 2016/2017 season. More volume, double-poling, and a strong female training posse: Nakkertok and Thunder Bay’s Katherine Stewart-Jones is feeling fast and looking forward to racing U23 World Championships Utah this winter.